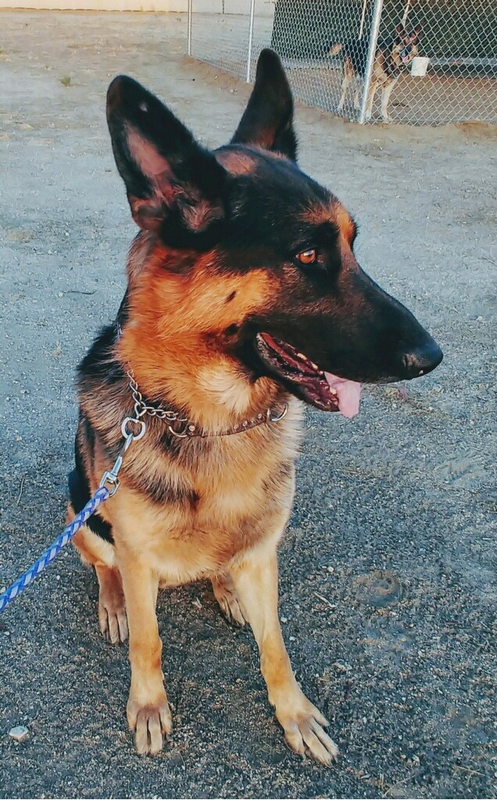 Conan is one of the most beautiful GSDs we’ve ever seen—and we’ve seen a lot of them. And he’s a complete testament to the intelligence and personality of the breed. 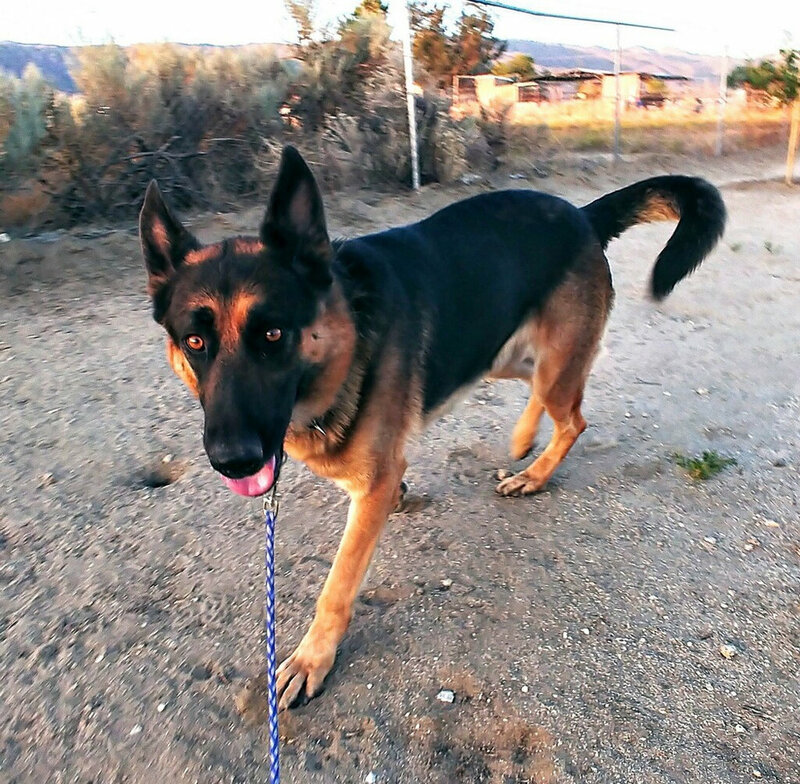 He is around 3 years old and experienced some stressors in his former life that have made him a bit fearful. But despite his past, he is quick to trust those who initially respect his space and win him over with long “smell-faris,” where he gets to sniff around the neighborhood. 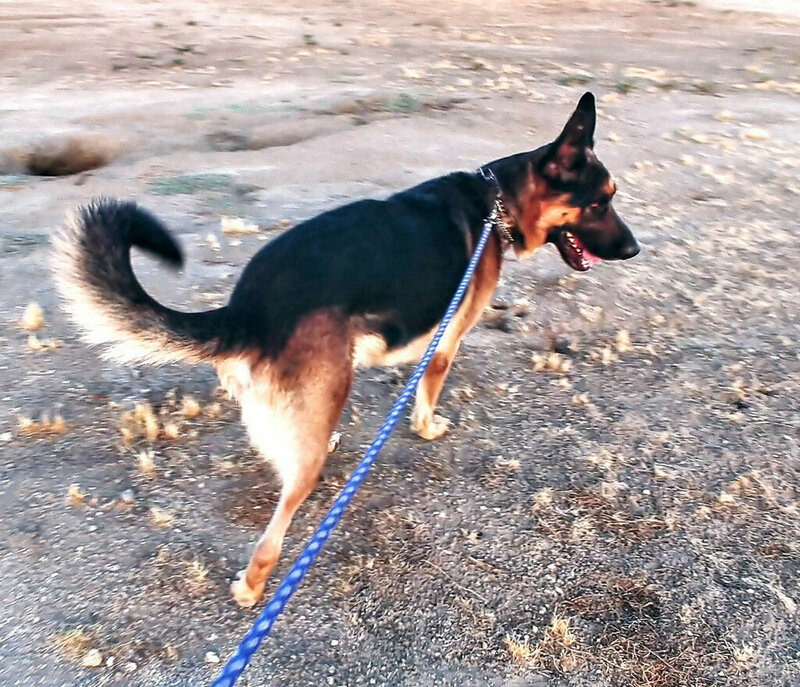 Conan is learning to walk on leash without pulling, though we’ve learned he is not at all leash reactive to other animals, whether they’re dogs, cats, chickens, or skunks! Really! When back from a walk, Conan will plop right next to you or in your lap for some scratches. He loves to be given affection, to play fetch, to learn new tricks, and to ride in the car—so much so that you have to stop him from trying to jump in stranger’s cars on walks. He needs a strong leader with GSD experience who will take advantage of his sharp mind and work drive. Someone interested in adopting Conan will have to come walk him a few times with a Happy Hearts volunteer to build his trust, and they’ll see that it’s so worth it.